The President of the United States and the international "Goddess of Pop" are in a war of words over immigration policies. Cher, a vocal critic of President Donald Trump, questioned Los Angeles' capacity to take in undocumented immigrants after Trump tweeted Friday that a plan was still being considered to bus detained immigrants to sanctuary cities. The streets of Los Angeles still see thousands of its residents living in poverty or experiencing homelessness, including veterans, she wrote on Twitter Sunday. "If My State Can’t Take Care of Its Own," Cher wondered, "How Can it Take Care Of More." Trump was quick to respond. "I finally agree with @Cher!" he tweeted Monday. 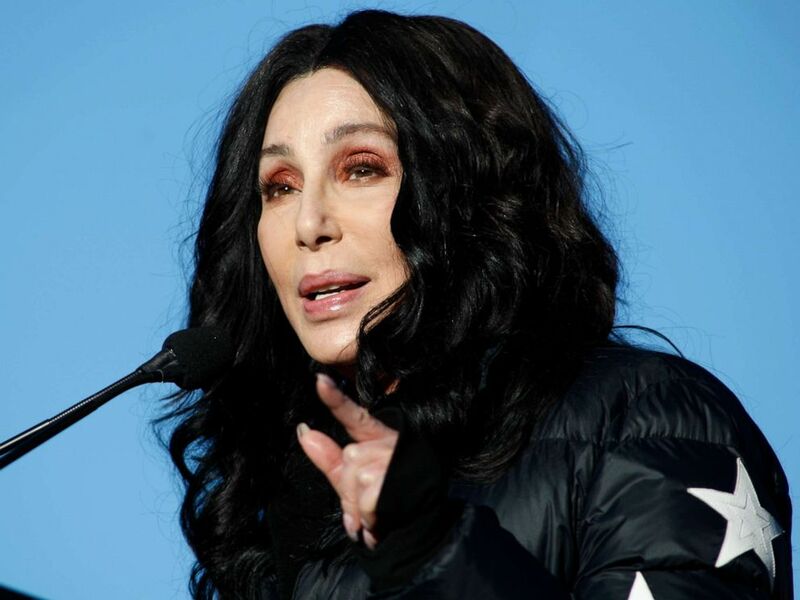 Cher speaks during the Women's March "Power to the Polls" voter registration tour, Jan. 21, 2018, in Las Vegas. Critics jumped on Cher's tweet, jokingly welcoming her to the Republican party and some saying that her tweet was what they’ve been trying to say all along. "Legal immigration OK. Illegal immigration - not OK," one user tweeted to Cher. "Libs need to stop lecturing us about compassion and focus on economic realities." "These are ppl," Cher wrote Monday. "WE ARE SANCTUARY CITIES BECAUSE WE DONT THROW PPL 2 DOGS." The Washington Post initially broke the story last week about the Trump administration's plans, which ABC News confirmed had been considered twice in the past six months and was intended to, in part, target the president's political foes who represent Democratic strongholds. Trump tweeted Friday that the plan was still being considered, a position White House press Sarah Sanders reiterated Sunday on "This Week", adding that is not a first option. A White House official previously stated that the plan "was just a suggestion that was floated and rejected." 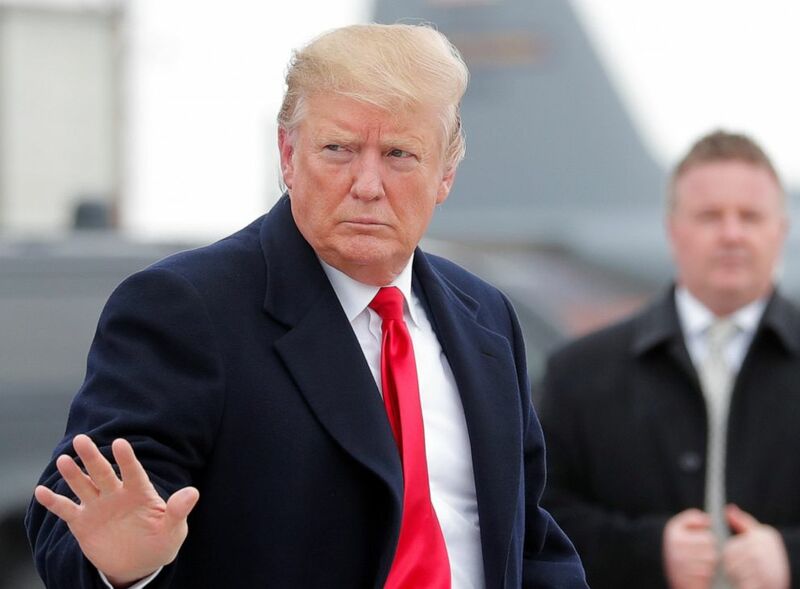 PHOTO:President Donald Trump waves as he walks to Air Force One in in Minneapolis, April 15, 2019. In 2017, California made history when lawmakers signed legislation that made it the first state in the country to become a "sanctuary state," limiting state and local officials abilities to share information with federal immigration authorities. And in February, the Los Angeles City Council passed a resolution that formally declared Los Angeles "a city of Sanctuary." Los Angeles Mayor Eric Garcetti tweeted his disapproval of Trump’s policy last week, writing, "These are people, not pawns, Mr. President." Cher defended her comments on Twitter and said that she wasn’t suggesting turning undocumented immigrants over to U.S. Immigration and Customs Enforcement. While California led the way as the first "sanctuary state," it's also leading the nation with the largest number and highest rate of people experiencing homelessness in the U.S., according to the U.S. Department of Housing and Urban Development's 2018 Annual Homeless Assessment Report to Congress. In 2018, there were an estimated 52,765 people experiencing homelessness in Los Angeles County, according to the Los Angeles Homeless Services Authority, an independent agency created by the city and county that administers funding for programs and works to find solutions to homelessness. 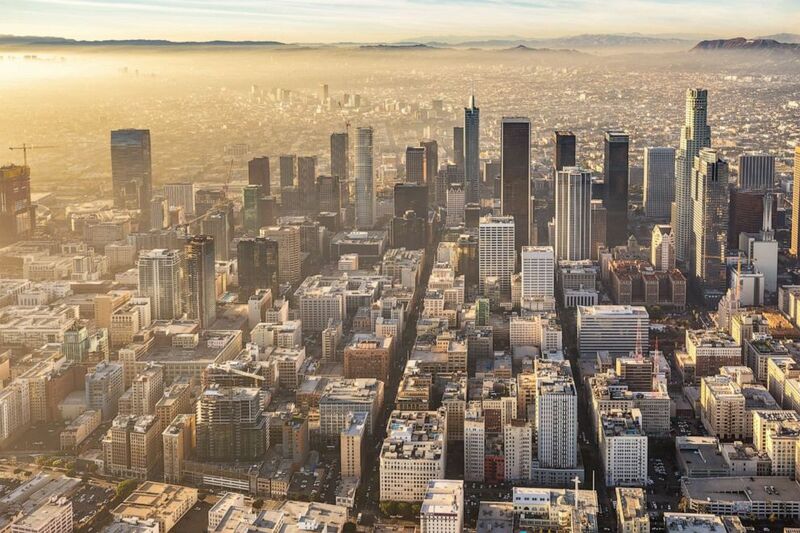 Downtown Los Angeles in an undated stock photo. It was the first time in four years that the number of Angeleños experiencing homelessness had decreased. But it was also the first time that the number of people falling into homelessness had increased. Of the 9,205 people experiencing homelessness for the first time, 46 percent said it was due to a loss of employment or other financial reasons. Three out of four people in the county remain unsheltered, with 39,396 people living without shelter, according to the 2018 report.